How exciting is it to come home and see a huge pink bag on your porch? And then to open it up and find all these awesome hair pieces?! Pretty darn exciting let me tell ya. Whoever gave these to me, thank you!!! I can't wait to wear them to chemo, its gonna be awesome :) I can't decide which one is my favorite. I'm thinking the pink one and the rasta ones so far, but they are all pretty sweet. It is kind of weird to have hair on my head, maybe cuz its plastic. I have gotten used to having no hair though! It was much warmer with the wigs on, might be nice in the winter. For some reason Sterling says he likes me better with no hair!!! I can't figure out....I think I'm pretty stylish in these babies. Thanks anonymous friend for making my night :) And for making my future days more fun! The nurses are going to LOVE me on Monday. Today is chemo #7!! I have 18 treatments, so only 11 more after this! I am almost half way done, how exciting! I talked to my chemo doctor and she wants to finish up all my chemo before they do surgery again. In three weeks they will do another PET scan to check how things are looking and then my chemo doctor and the surgeon will discuss when to do the second surgery. Hot and tired after the run. We ran almost 4 miles together and he was so nice and patient with me even though I had to stop and rest a lot. Looks like a good week ahead of me, hope everyone else's Monday is going as good as mine! School starts for a lot of my friends, have fun in school! Glad I don't have to start classes today. But tomorrow I take the GRE and I sure haven't prepared very much :-/ yikes. There is a young girl here in the infusion center just like me :) I am too shy to meet her, but I haven't ever seen anyone under the age of 40 hardly so its kind of cool! Maybe I will get brave before I leave today. **UPDATE** I did! I got brave. Well her mom started talking to me in the bathroom so then I got to meet her hahaha. She is 18 and has a desmoid tumor....its super super rare, only 900 new cases a year in the US. They don't even know how to treat it, she's getting chemo, but it might not even work! That would be so crappy. But it is non-metastasizing so it isn't life threatening which is good. So now I have a new friend I will see every 3rd week! Yay!!! Have an awesome wonderful day! Enjoy the beautiful weather. Eat chocolate. P.S.- I have been wanting to do something cute and nice for all the other patients in the infusion center when I come to get chemo. I can't think of something that is cute, not too cheesy, but nice. I was thinking of making cards with a sun on them and saying something like "Here is a little sun to brighten a day that isn't much fun". Do you guys have any suggestions or ideas for me?? It has to be cheap cuz I'm poor, but I want to meet other patients and maybe make them feel a little better. So many people here look so tired and worn out, it makes me sad for them. Meet the new Mormon Tabernacle Organist.......ME!!!!!!! Two weeks ago I was talking to my grandma and I mentioned that I really wanted to learn the organ. Well.....it just so happens that she is in Clay Christiansen's ward (the MoTab organist) and she asked him if maybe he would teach me a little bit. So he invited me TO the tabernacle to learn on the real legit awesomest organ in the world! FREAKIN COOL. He didn't teach me a whole lot, but the basics of using the pedal and what all the buttons (stops) do and such. It was incredible. The acoustics in the tabernacle are just so amazing. Its not like playing the piano where you can hide a wrong note played. The organ, especially in the tabernacle, illuminates every wrong sound and it reverberates for what feels like hours. He had me play Praise to the Man from the hymn book.....I don't know how to describe the feeling but its like awe and majesty and like huge and so cool. You just feel the music from inside you and its huge and inspiring. I got to play/learn for about 25 minutes then people were coming in to listen to the noon organ concert. I guess every day at noon there is a 30 minute concert so people and visitors can experience the mormon tabernacle to its fullest. We stayed and listened to the recital. I can't believe how many things a person can do at once! Play on 5 different keyboards, 3 different sets of foot pedals and adjust the 200+ stops there are! It would be so cool to be good enough to accompany the MoTab someday. After the concert Grandma took me to lunch at Paradise Bakery. It was so much fun getting to spend time with her and so neat that she was able to set up this experience for me! I am so incredibly lucky. Thanks Grandma :) And Clay for allowing me to play the beloved famous tabernacle organ! Per request here is my "daily dose of sunshine"
Tomorrow I get to do the coolest thing ever!!!!!!!!! So you'll have to come back tomorrow afternoon and read all about it. I'm going to leave it a surprise. But here are some clues: the thing I will be working with was built by Schoenstein & Co., it was commissioned in 1996 but wasn't finished until 2003, it is one of the largest of its kind in the world and there are 11,623 parts to it. On Thursday afternoon we decided to join my in-laws and head to Redfish Lake in Idaho with them. I was super sad that I had to miss the run with my dad :( I was seriously very bummed. But he did SO incredible!!!! He ran a 1:32.50!!! Blazing fast! I have the coolest best dad ever! I am looking forward to running a race with him hopefully really soon. Redfish was really fun even though I was really sad about missing my dad. We got there late Thursday night. On Friday we did a crazy hard hike! It was like Mt.Timp times 3. But it was gorgeous and way fun! I loved it. And it was so surprising, but I had so much energy and hardly got tired!!! 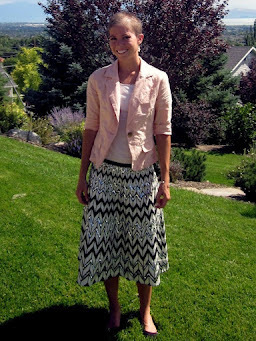 I felt way better than when I was hiking Timp. We hiked to a lake at the base of Braxon Peak. It was so pretty. We ate lunch and sorta swam and laid in the sun for a while and then headed down. I think going down almost took us longer than going up because it was so steep and slippery! But we finally made it and it was awesome. On Friday we sorta slept in and I went for a shortish run. The smoke from all the Idaho fires was pretty bad and it was hard to breathe. But it was nice and chilly and pretty! I ran around the lake and along a river jumping trees like a hurdle pro. Then....the best part of the trip almost.....we went to the lodge for the buffet breakfast. YUM!!!!!!!!!!! I went gluten crazy. I had french toast and eggs and two different kinds of bacon and donut holes and hashbrowns and syrup and quiche and oatmeal and hot chocolate and......yeah :) hahaha. I was kinda sick all day but it was totally worth it. The rest of the day we laid out on the beach getting tan and swam in the chilly water. It was so much fun. Jeff and Audra (Sterling's aunt and uncle that run Redfish) took us on this beautiful pontoon boat cruise around the lake and served us dinner appetizers all fancy like. We felt quite special. Sunday we went to church. It was a chapel that served three different religions. The backdrop behind the pulpit was huge windows and the view was the Sawtooth Mountains. So pretty! All in all it was a really fun weekend and so much fun to be with Jeff and Audra's family!! They were a blast and so generous and fun. Chemotherapy went really well again yesterday! Just the same old routine. It is the weirdest thing....as soon as they give me Benadryl, seriously within 15 seconds, my eyes get all droopy and blurry and my brain shuts off. It is bizarre. So then I sleep and wake up like 45 minutes later feeling mostly fine again. Then we went out to lunch with my aunts so we could plan a 5k!!!!!!!! It is going to be sooooo awesome. I figure I might as well announce it here even though it isnt quite finalized yet. But we are planning a Fallen in Chocolate 5k run on September 29 so save the date! I will write more about it when we get the fliers and shirts designed and all the paperwork finished so it can be official. Well, I had my 5th treatment on Monday. It went great! The stupid Benadryl made me unable to keep my eyes open, and it also made me unable to sleep because it makes me so twitchy! So I enjoyed an hour of non-sleep, but not awake....haha. It's not so bad. I forced my eyes open for a while to read and then I closed them for a while and kind of rested. I didn't get sick though, and I haven't felt sick yet! The rest of Monday was way fun! I got to get a pedicure with my aunts and Granny and then we went out to lunch. And after that I went to Raging Waters with my family and my aunt and cousins. It was so much fun! Tuesday was a great day. I don't know why, but I always feel the best on Tuesdays....weird, I know. I always have my fastest, best runs on Tuesday and I am rarely tired. Today has been great so far as well. Yesterday and today I was able to run the whole time without stopping!!!!! 27 min non-stop. That is a new record for me since surgery! Such an exciting milestone. I am signed up to run the Hobblecreek 1/2 Marathon this Saturday but since I can't go longer than 4 miles, I am just going to join my dad for the last 3.1 and run the end with him. I am excited to run with him and I've been looking forward to it since we signed up in March. I am really bummed I can't do the whole thing, especially because they give out cool medals to the top 100 male & female finishers and cool plaques to age group winners.....and now I am just hoping to run the last 3 miles without stopping :( Ah well, it will be really fun to meet up with my dad and [hopefully] finish with him! I am still losing my hair, but it doesn't seem to be as fast. Maybe cuz its short now so I don't notice as much when little pieces leave my head. But I still am a fuzz monkey!!! For now! Well......if anyone knows of a part-time job that won't make me work Mondays and will be flexible if I get sick then....let me know! I probably need to start doing something semi- more productive than just reading all day! I was worried I'd be really sick this week since I got all three drugs on Monday and not just the one, but I actually have been doing really well!! Tuesday was great, no symptoms at all and my fastest run since surgery :) That was super exciting for me. Wednesday I still felt pretty good but running was a little harder. But I was running up the canyon and this guy when he passed me said "You're beautiful!" and it really made my day :) Cuz I wouldn't pass bald old me and think I'm pretty. Today running was....well a nice jog with a lot of rests haha. It was partly hard because I went at 10:30 when it was already hot, but I think mostly it was hard because of the treatment. Luckily other than running being a lot harder and being pretty tired yesterday I haven't really had any other side effects! I still have my awesome fuzzy head :) Its kind of fun to play with, all soft and short. Wonder if having a completely bald head will be as much fun? Guess I will find out! Man, there is something magical about Lake Powell. It is seriously one of the most incredible places in the world. We had so much fun. I wakeboarded and skiied every day, we read and relaxed all day and ate like royalty. We got there Sunday afternoon and we left Saturday night. Sunday we just loaded up and did a little paddle board, and Monday we headed up the lake and parked in Good Hope Bay. Monday night we had a crazy intense wind storm, we half expected to wake up over the rainbow. It was scary. The rest the week was beautiful weather, windy at nights but calm and warm during the days. Most my pics are on Facebook but here's a few of my favorites. I kept my hair long for the first 2 or 3 days and I finally got fed up with it. I couldn't brush it without pulling it all out and it was all matted and gross from getting wet. I think it was Tuesday night I pulled out the scissors and the shaver and gathered everyone around. Sterling got to be the designated barber. I don't know how much he liked it, but he did a great job. 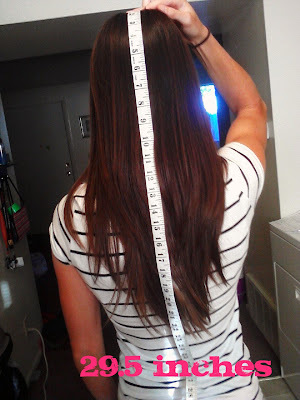 My hair was 29.5 inches long from the top of my head to the ends when we cut it. He cut off my gross matted hair and we decided that it looked really cute short. I was planning on shaving it all off but it was cute short and I thought it would be nice to keep it so my head wouldn't get sunburned. I loved having it short all week, I am so glad I cut it off! It was such a relief. I was sad that I couldn't have all my friends there when I cut my hair :( My mom felt bad that I couldn't have a party so she bought me a super cute hat on the way home so I can always remember our Lake Powell trip. Sunday morning before church after I showered and stuff, it was a little too patchy to leave so I ended up shaving it before I left the house. I don't mind it, its not my cutest look, but I"ve had worse hair days :) Its nice not to have long hairs falling all over me every 5 seconds. Pretty much everyone I've seen so far has done a great job at not making me feel weird for having no hair. It is the best for me when people just treat me like normal and don't get all sad and sorry for me. I really don't want people to get all sad or awkward when they see me, it will make me feel dumb. I don't mind not having any hair so I don't want other people to mind that I don't. I am at the Hunstman center about to start treatment. I get all three drugs today, the carboplatin, taxol and Avastin. I'm trying to finish this up before I get tired! Wish me luck!